Ronaldo joined the Turin club from Real Madrid earlier this summer. The Portuguese captain said he chose to play for the Turin club because it was a great club and since he was a child, he has been hoping to one-day play for Juve. The 33-year-old is expected to make his debut for Massimiliano Allegri’s men in a friendly match on Sunday against a Serie B team in Villar Perosa. 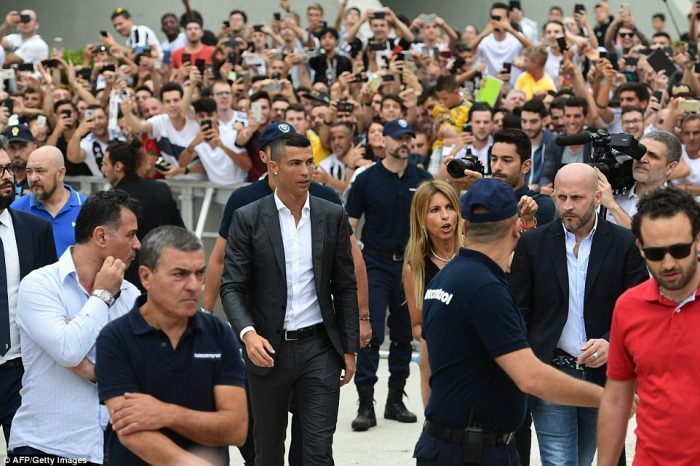 “It’s nice to be here, I’m happy, when I chose to play in Juventus there was not a specific moment,” Ronaldo told Juventus TV. “We’ve met Juventus on a couple of occasions in recent years and I’ve always had the feeling that Italian fans liked Cristiano.